The plane reportedly took off from Great Falls and flew over the Edwards Air Force Base, United States Air Force Plant 42, which is used to modernize and assemble various military aircraft, including strategic bombers, Vandenberg Air Force Base, as well as the Nellis Test and Training Range — also known as Area 51. The mid-day flight on March 28th, 2019 appears to have originated out of Travis AFB, located near San Francisco, and continued on something of a highlights tour of American military installations in California and Nevada. It flew south over central California, passing near bases like Naval Air Station Lemoore and headed out over the Channel Islands. Via The Drive/FlightRadar24: This is the medium alitidue imaging portion of the flight by the Tu-154M. 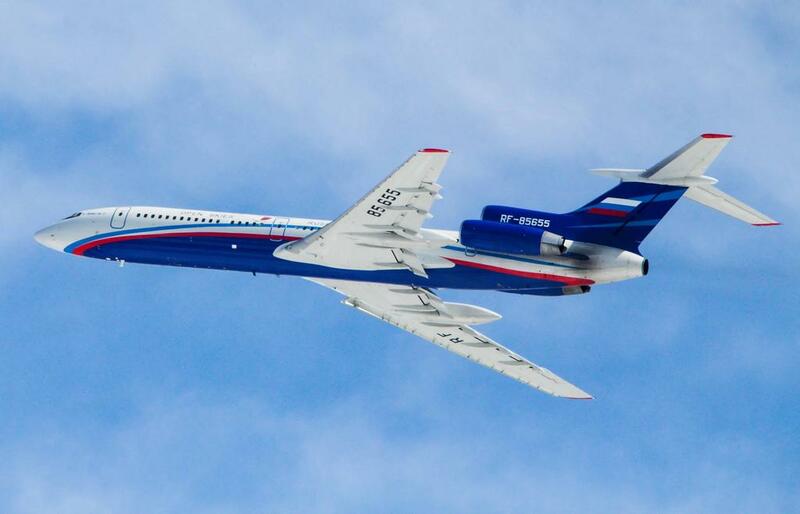 The Tu-154M-ON is a modification of the Russian Tu-154M LK-1, which is used in cosmonaut training programs, is specifically fitted for conducting aerial inspections.